If you can take a picture, you can report illegal dumping – download our App today! Reporting illegal dumping helps keep your neighborhood a clean, healthy, and safe place to live. Any junk, garbage or debris left on public property—including roadsides, open streets, and paved alleys is consider illegal dumping. With your help, law enforcement can identify problem areas and take measures to stop dumping. The more reports of illegal dump sites we have, the more resources can be dedicated to this problem. Help us and Keep Truckee Meadows Beautiful by downloading the Washoe County Sheriff’s Office (WCSO) App – available for free through the Itunes App Store or Google Play. Use the WCSO App to take a photo and report the site. WCSO staff will determine the jurisdiction and forward to the appropriate agency. WCSO staff will visit site, conduct an investigation and forward to the cooperating agency or WCSO Patrol for follow-up. The dumpsite will be abated based on availability of resources. The case will be prosecuted if a suspect has been positively identified and located. 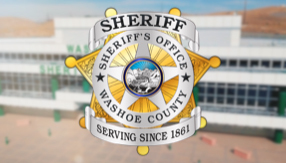 The Washoe County Sheriff’s Office is unable to clean-up any dumpsites on private property, although these sites will be investigated and prosecuted if a suspect is identified and can be located.